Some think of whale watching as a late winter-springtime event, but truth-be-told, there are whale watching adventures off the Central Coast year-round. Now through the end of the year, tours offer trips out of Monterey Bay to view Humpbacks, Blue Whales and dolphins. 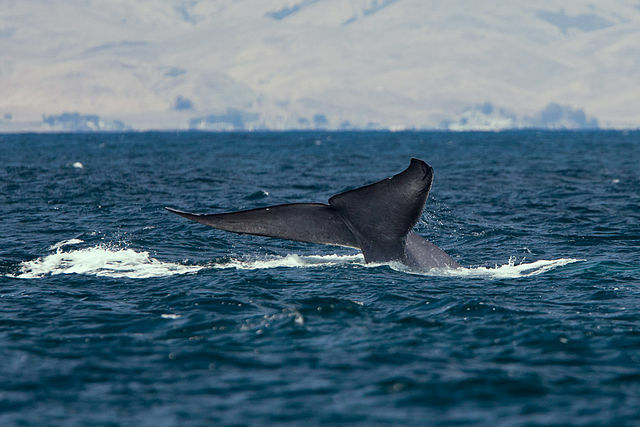 Humpbacks and blues migrate each fall to the California waters to feed off of anchovies and krill. Blues measure 75-100 feet long and weigh 100 to 150 tons, while humpbacks are a bit smaller, 40-50 feet long and weighing up to 40 tons. It is the humpback that is most famous for their communication through amazingly complex songs. Killer Whales (orca), Minke Whales, and Fin Whales may also be seen during this time. A variety of dolphins, porpoises, sea lions, seals and otter are present most of the year and are also seen on tours and off the coastline, along with numerous bird species. Gray Whales start migrating through the area in mid-December through May. Grays have one of the longest animal migrations known, traveling some 10,000 – 14,000 miles from their summer feeding grounds in the Bering Sea off Alaska, to their winter breeding grounds in Baja California and back again. They feed on small crustaceans and tube worms along the bottom and hug the shores, making them often available for viewing directly from the shore. Gray whales reach 45-50 feet in length and weigh 30-40 tons. On shore locations best noted for viewing include Point Sal State Beach, Estero Bluffs State Beach, Harmony Headlands State Beach, the Big Sur Coast, Point Lobos, Pebble Beach and Asilomar State Beach. These are day parks, but there are an abundance of overnight options close by including camping, RV parks, and rustic and modern lodges and motels. Off-shore boat tours are offered from Avila Beach, Morro Bay, Monterey Bay and Moss Landing on the Central Coast, but actually are available all up and down the California coast including off the Channel Islands, Santa Cruz, San Francisco and Mendocino. Full day and half-day trips, or 2 1/2-3-hour tours, are available from most tour operators. Some trips may be on larger power-motor boats, while others may be small with as little as six passengers aboard a sailing vessel. Dress in layers – it may be warm before you set out to sea, but can get quite cold on the water. Rubber soled shoes – the deck will undoubtedly get wet, and you want to avoid slipping. Wear sunscreen – the water reflects the sun’s rays and can intensify it. Cloudy days can even be worse with UV rays passing through. Bring it along as well – to reapply more as the hours wear on. Make sure your camera and/or binoculars have straps and you use them – you don’t them too fall overboard. Don’t forget fresh batteries and memory card for your camera to capture all you want to. Take a motion sickness remedy, if you are susceptible or bring some along, if you don’t take ahead of the trip. Most tours allow children, although the very young may be prohibited. Some trips may also prohibit pregnant women. Be sure to check these issues out before you book a trip.